Hey Obama, the 1980s are calling. They want their foreign policy back. 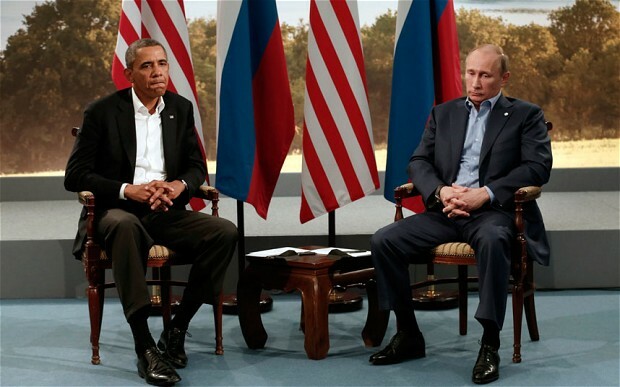 Today the Obama administration publicly accused Vladimir Putin of interfering with the US presidential election. The U.S. government on Friday formally accused Russia of a campaign of recent cyber attacks against Democratic Party organizations. In an extraordinary joint public statement, the Department of Homeland Security and the Office of the Director of National Intelligence said it was confident that Russia’s ‘senior-most officials’ ordered the attacks. The statement amounts to an accusation that Vladimir Putin ordered interference in the American political system. It is impossible for such an explosive charge to have been made without authorization from President Obama. This comes after hackers revealed the Democrat Party was in the tank for Hillary Clinton in this year’s primary, among other things.